Different venue. Same schedule of events. Go Go’ers, now that it’s officially summer, all hell has broken loose fun-wise. It’s gonna be a bumpin’ ride. Why Did the Chicken Cross the (Eagle) Rock? Clearly, to get to the other side-splitting shows at the Eagle Rock Comedy Crawl. Now in its fourth year, the FREE, three-day, Tuesday through Thursday crawl lets you mix and match laughs with 22 shows featuring 170 comedians like Amber Tozer (#nitTWITs). Catch the stand-up bug at one of the three open mics? Bonus #1: Fest producer and multi-threat creative talent Bobbie Oliver helps you scratch your comedy itch with FREE Stand-Up (by Oliver) and Improv (by John Fontaine) Workshops on Saturday at her Tao of Comedy Studio in WeHo. Bonus #2: Oliver, a proud resident of Eagle Rock (a.k.a. Northeast L.A.’s “Mayberry”), has booked many of the fest’s shows at fave neighborhood eateries like Dave’s Chillin’ & Grillin’, Brownstone Pizzeria and The Capri. Go Go’ers, prepare to exercise your jawbone and your funny bone. 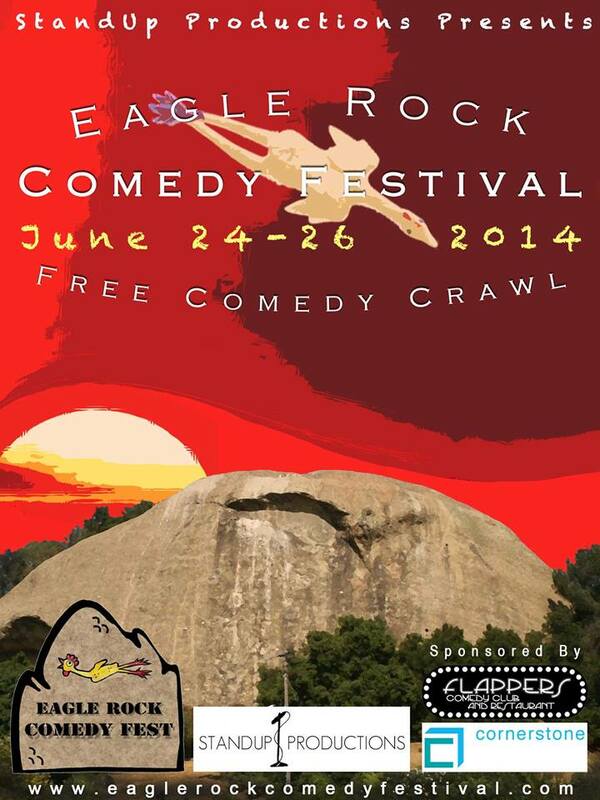 EAGLE ROCK COMEDY CRAWL — Tues, June 24 – Thurs, June 26 & Sat, June 28; FREE — Various times & locations; for more info, go HERE. DTLAB is the acronym for “Downtown Literary Alchemy Laboratory” and “literary alchemy” pretty much sums up the feat that Writ Large Press will be pulling off with DTLAB at Kitchen Table. Starting Friday, Writ Large principals Chiwan Choi, Judeth Oden Choi and Peter Woods — you know them from the Grand Park Bookfest — launch the pop-up #90for90: 90 literary events in 90 days. The second relevant hashtag? #boozeandbooks. So in addition to thoughtfully curated lit fest staples such as readings, panel discussions, film screenings and more, you can expect quirkier events such as Game of Thrones…of Boggles and Whiskey Writing Wednesdays led by multi-disciplinary artist Traci Akemi Kato-Kiriyama. So, the perfect time to channel Dylan “18 Whiskeys in a Row” Thomas. TV Writing in the Modern Age indeed. 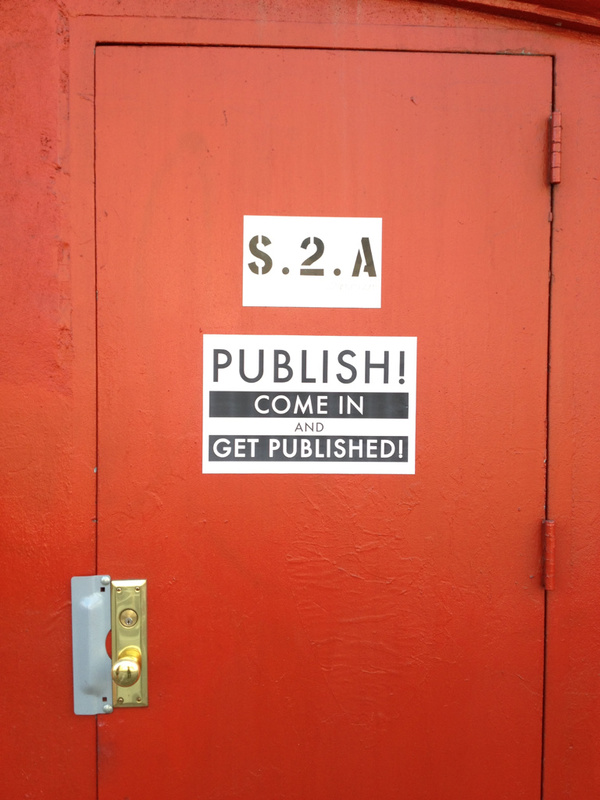 Naturally, #booksandbooze will be integral to Publish! : the central event of the #90for90 Grand Opening Launch. All drink orders, idle chitchat, drunken ramblings, and cringe-worthy pick-up lines uttered within range of the microphone will be translated into a joint document and continuously projected upstairs. There, literary alchemists like you will make liquor disappear while riffing on the stream-of-consciousness projection, which Writ Large Press will subsequently publish. Think of it as Ulysses for the new millennium. DTLAB @ KITCHEN TABLE — Grand Opening ~ Fri, June 27, 5pm – midnight — (updated) Figaro, 618 S. Broadway Ave, (Between 6th & 7th Streets), DTLA 90014 (updated). For the full #90for90 calendar of events, go HERE. 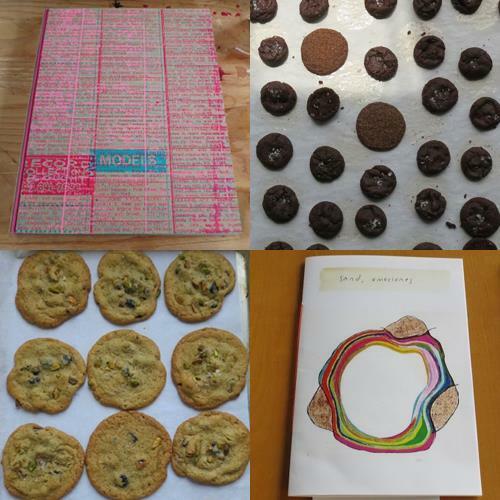 Artists’ Books and Cookies at Ooga Booga. Despite the much ballyhooed death of print media, nary a month goes by without a book fest. Few are as tempting for bibliophiles, art lovers and sweet toothers alike as the Artists’ Books and Cookies series, now in its third iteration. The event is a collaborative effort between Mexico City-based Fundacíon Alumnos47, the always innovative and frequently food-centric ForYourArt, and punk-inspired art/book/music boutique Ooga Booga, which will host at their second location aptly named Twooga Booga. In other words, the fun starts immediately. The back story: artists and publishers were invited to submit books that incorporated unusual techniques and/or rare materials; some of the submissions will be acquired by Fundación Alumnos47 for their public collection of artist’s books in Mexico City. The two-day exhibition includes conversations about the independent art publishing scene organized by the presenters in collaboration with Art Book Review. Cookies will once again be supplied by SQIRL, the bceloved ulinary mini-empire started by preserves queen Jessica Koslow.